How to pay rent or bond? Our complex uses Metered Energy which provide an embedded power supply within our complex with rates charged at 10% below QLD gazetted rates. Please note this means you cannot select Origin or AGL as your supplier. To make an electricity connection the easiest way is to fill in the Metered Energy form online. You can find the Moving In connection form at https://www.meteredenergy.com.au/moving-in. 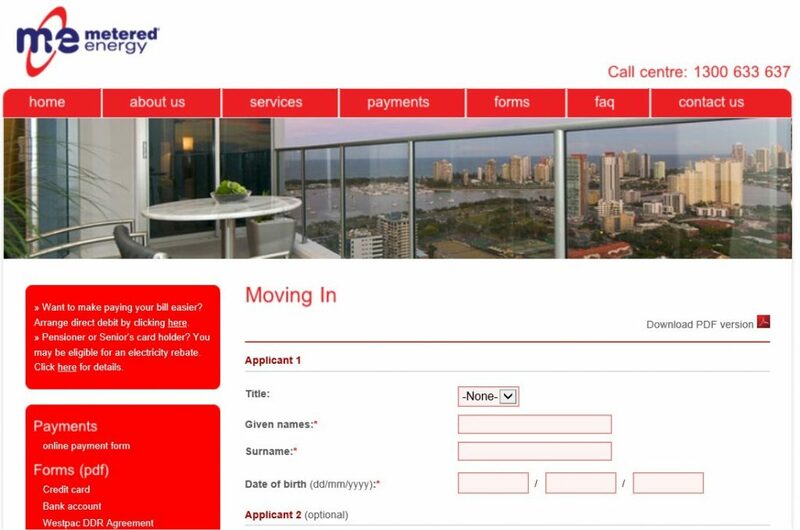 You can also download the moving in form from the Metered Energy website or ask for one at our office. Metered Energy are contactable on 1300 633 637.